Dr. Heidi Gough is originally from England, but moved here in 2001 as part of a work exchange placement. This placement was originally for 18 months, but was extended several times with different position opportunities. As time went by Dr Gough fell in love with the USA, in 2015 she gained her American Citizenship. Heidi, as she prefers to be known, currently works for PA Leadership Charter School as the Director of Marketing and Communications. Her passion for education is clear; she started her career in nursing, taking care of children with profound needs in a correctional facility. Her role became more of a teaching position than nursing, so she returned to school and became a certified special education teacher. Her schooling did not end there; she began pursuing a Doctor of Medicine degree (MD) but switched over to a Ph.D. in Organic Chemistry as she felt it fit her career path better. Since arriving in the USA, Heidi has been in both nursing and educator roles; she has continued to school herself in the areas of education and marketing, this lead to her current position. As the Director of Marketing and Communications, Heidi manages a team of five across PA. She believes that collaboration, communication and a sense of community are important factors in the workplace. Her team is very knowledgeable and work closely together to support the needs of the families they serve. When you talk to Heidi about education and schooling, you can see that it is the very fire that burns within her. She wants families to feel empowered and educated about their child’s schooling. Some parents may not realize there are several school options available to them, and while PA Leadership Charter School may not be the option for every family or child, they leave feeling satisfied, educated and at ease. Heidi believes in the words spoke by Maya Angelou – “People will forget what you said, people will forget what you did, but people will never forget how you made them feel”. Michael Hughes is the Vice President of Servpro of Kennett Square/Oxford. Servpro is a franchise that provides clean up and restoration services to both commercial and residential properties. Their focus is to make it “like it never even happened” by providing highly trained professionals that respond quickly to emergencies and to minimize business interruption. Michael has been with Servpro for twenty years; starting out as an employee then quickly becoming an owner. He has been trained in residential and commercial drying, fire and smoke clean up and mold remediation. He also manages and runs the commercial duct cleaning division of the company. Servpro of Kennett Square/Oxford is also a part of the Servpro Corporate Storm Team division. When a hurricane, flood or winter storm does damage to an area, the Storm Team moves in to assist the inundated local Servpro franchises. Michael and his team have been involved in events such as Hurricane Katrina, Irene and Sandy. They have traveled to the Dakotas and Chicago for flood cleanup and have traveled as far as San Diego for cleanup of the wild fires. Although they are always willing to help other franchises, Servpro of Kennett Square/Oxford’s top priority is taking care of their local customers in the Southern Chester County and surrounding areas. Servpro of Kennett Square/Oxford is located right in the heart of Avondale, and serves the Southern Chester County region. Michael and the team are ready and waiting for any cleaning needs or questions and look forward to the opportunity to help in any way! Katy Wolfington has been working in design for nearly 30 years. Her love of art, culture and architecture led her down a winding path, which eventually blossomed, into Waterbury Kitchen and Bath. She purchased the business in 2004 when it was a home building firm. 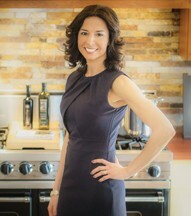 Katy, wanting nothing to do with building homes from the ground up, turned the business into a kitchen and bathroom design center. She created a showroom that is unlike any other. It really is worth going to see. 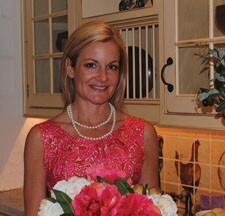 Katy’s background in interior design, which included working for Ralph Lauren, has contributed to her successful business in the heart of Kennett Square. Katy has a diverse client base and can embody individual clients desires and tastes. She says the most important part of her designs is that each one is unique and something you can’t get anywhere else. Waterbury Kitchen and Bath specializes in everything from full bathroom and kitchen remodels to smaller scale projects such as replacing a backsplash and counter tops. All designs, whether contemporary or traditional, are a collaboration of the customer’s vision and Waterbury’s design team’s expertise. Another important factor that sets Waterbury apart is that Katy has an amazing installation team. Her highly skilled carpenters are employees of Waterbury, and she has been using the same team of skilled installers for over ten years. This formula seems to work and is proven by the fact that 90% of her clients are referral or return customers. 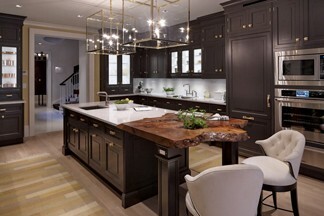 To contact Katy, email her at katy@waterburydesign.com and you can see her work at www.waterburydesign.com or visit her extraordinary showroom in Kennett Square, PA.
Mark J. Aitken, a native Delawarean, is the Co-owner and Senior Vice President of Horizon Services. For nearly two decades, Mark and his business partner, Dave Geiger, have transformed the once small “mom and pop” operation into an award-winning and highly recognized industry innovator with over 700 employees. Under Aitken’s leadership, Horizon Services built a company culture based solely on meeting and exceeding the needs of the customer. This customer-focused approach led to A+ ratings with the Better Business Bureau, in addition to being awarded their coveted “Torch Award” in 2004 and 2015 for business ethics. The company has also been recognized as a top service provider by several trade publications including Delaware Today Magazine, The News Journal, The Philadelphia Inquirer, Suburban Life, and Angie’s List. In the spring of 2010, Mark Aitken created the nonprofit “Horizon Helps,” a philanthropic arm of Horizon Services comprised of Horizon Services’ employees. Horizon Helps’ mission is to positively contribute to the growth and development of the local community through charitable giving and volunteer outreach. Mark Aitken’s legendary drive, creativity, and work ethic have established him as one of the most successful small business owners in the area. He is an active board member for the Better Business Bureau of Delaware, The YMCA of Delaware, and a previous board member of Limen House. 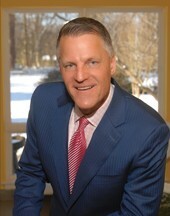 Aitken is a 1978 graduate of Archmere Academy and is active in their Alumni Association. He lives in Wilmington, Delaware and has two adult sons, both of whom work for Horizon. Michele Reynolds was born and raised in Wilmington Delaware. She is President of Blue Hen Utility Services Inc. and also primary owner of Shellysons Electrical Contracting along with her husband and business partner Mike Reynolds which was founded in 1998.Michele’s drive and passion for entrepreneurship did not stop there. She was determined to make a positive impact in the State of Delaware that would fill a void and create job opportunities. After thorough research in the construction industry, Michele realized that there were no Delaware home based utility service firms geared to self-perform high-medium voltage work. From that, Blue Hen Utilities Services Inc was formulated in 2014 along with her business partners Mike Reynolds and Ted Kelly. Michele was granted a national certification for Blue Hen Utility Services Inc. as a Women’s Business Enterprise by the Women’s Business Enterprise Council PA-DE-SNJ, (WBENC) which is the largest third party certifier of business owned and operated by women in the United States. Michele is involved in many organizations such as: National Association for Women in Construction, New Castle County Chambers of Commerce, Women Business Enterprise National Council, Women’s Innovative Think Tank. With over 18 years of experience in the leadership field of the construction industry-Michele utilizes her knowledge and talents to make a difference in the lives of others. Persistence and doing what makes you happy she believes is the key to success. “Relentless Pursuit of Excellence” is our motto. Michele has been married for 25 years and has 3 kids. Family is number one priority and being a role model for her kids inspiring them to – help others, give back to the community, while instilling leadership and independence but most importantly remaining humble. One significant way in which we give back to the community is by hiring local high school students and giving them an opportunity to learn and grow in the electrical industry. We also support and sponsor local sports teams and universities. Michele enjoys spending time with her family and friends, traveling, reading, health and fitness, entertaining and “giving back”. Sheronda Wesley has more than 27 years’ experience in the income tax services, banking and accounting fields. Sheronda obtained her BS in Business Administration from Widener University and a dual Master’s in Accounting and Financial Management from the University of Maryland. She has a federal license to represent taxpayers before the IRS as well as a secret security clearance. Sheronda has owned her own tax preparation firm, TAXcellent Financial Services, since 2007. She also practices tax litigation and representation as an Enrolled Agent. Sheronda is passionate about using her knowledge and experience to make a difference in the lives of others providing free tax preparation and training services to non-profit organizations. Working with clients in such a highly confidential capacity, Sheronda often found herself in a position where families would ask her for assistance with the business matters of a deceased family member. Being able to provide this assistance was a natural transition to her new business venture, Final Business Matters. Sheronda was already a trusted professional to the family when these life changes took place. It was natural for them to turn to her because they knew she had the expertise to help them navigate the complexities of taking care of their loved one’s final business. Sheronda’s role in Final Business Matters is Estate Closer and Daily Money Manager. She assists families through the many challenges they face dealing with a loved one’s business matters during a time of immense grief. Sheronda enjoys being a DE Money School Volunteer and participating in local community events. Sheronda holds memberships with the American Society of Tax Problem Solvers, National Association of Tax Professionals, American Association of Daily Money Management and the National Notary Association. Sheronda resides in Pike Creek with her husband, Steven, and their three children. Roy and I have two children, Wayne born in 1969 and April in 1972. I worked at Royal until 2000. After our son’s death in 1999, we became legal guardians of his four children and eventually I stayed home to raise the kids. I am an avid nature photographer. My photos have won awards, contests and have been published. In 2004, one of my photos was in the Delaware 24-7, which was an extension of the America 24/7 project, an unprecedented digital photography venture that featured the work of more than 25,000 local photographers in all 50 states. Last month, one of my photos was awarded a Top Ten in the Pest Control Technology 14th Annual Photo Contest. Roy and I are true environmentalists. We run Royal Pest as a planet-friendly company, have a monarch butterfly in our logo, and always consider the environment when controlling pests. This year we are celebrating Royal Pest’s 40-Year Anniversary. We have six grandchildren: Amanda, Rebecca, Wayne and Andrea from our son, and Cole and Austin from our daughter April and son-in-law Paul. Shannon Adelson has been doing photography since he was a kid and has always been involved with the arts. 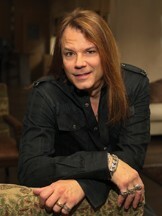 He received his Bachelor’s and Master’s degrees at Eastman School of Music in Rochester, NY. He has been shooting semi-professionally since 2005 but didn’t officially open his own business (Adelson Media, Inc.) until 2008. In addition, to photography he has a background managing marketing and social media for an online retailer. 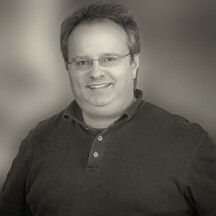 When an opportunity to shoot music events presented itself, he decided to follow his passion and to go full time with Adelson Media, Inc.
Once he made the decision to pursue professional photography full-time, He enhanced his arsenal by joining the National Association of Photoshop Professionals. Shannon said that the process of taking pictures was always been fun; but recently he discovered the joy and wonder of making portraits. Using creative compositional elements like light, color, framing, gesture, expression, and depth of field, every image can tell its own story. 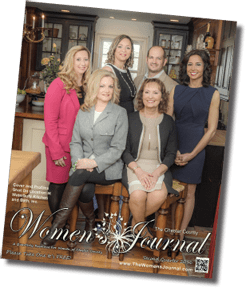 We would like to extend a special thank you to Waterbury Kitchen and Bath, and Katy Wolfington for hosting our photo shoot for Chester, Delaware, and New Castle County papers. Their beautiful design center located at 818 East Baltimore Pike, Kennett Square, PA was an excellent location for our shoot. The backdrops of their display center accented our photos and made our photographer’s job much easier. Waterbury has so much to offer, and if you have never visited the Waterbury Kitchen and Bath design center you should make a point of stopping in to see what they have to offer. Whether you are planning a remodel job now, in the future or are building a brand new home, a trip to this showroom should be included in your planning so you can be inspired by all the fantastic designs that they have.